Terry O’Gorman, an expert in the area of criminal law and criminal defence, is one of our founding partners at Robertson O’Gorman Solicitors. For 40 years, Terry O’Gorman has worked fiercely to defend his clients and tirelessly to protect the civil liberties of Queenslanders. As an Accredited Specialist in Criminal Law and QLS Senior Counsellor, Terry O’Gorman is recognised by the Queensland Law Society and the legal profession as an expert in criminal law, professional responsibility and police conduct. 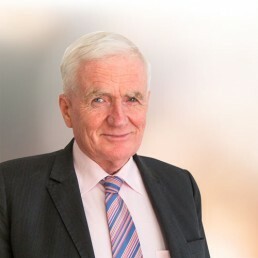 Terry sat on the Queensland Law Society Criminal Law Committee since 1979 and was an Executive Member of the National Association for Criminal Lawyers since its inception in 1986. In 1991, Terry was awarded the Order of Australia in a General Division for services to the legal profession. From 2015 to 2018, Terry has been recognised as a preeminent Criminal Lawyers in Queensland in the Doyles Guide – Leading Criminal Lawyers list. Terry believes that in addition to a commitment to the profession, lawyers have an obligation to ensure that civil liberties for all Queenslanders are protected. He is the Vice-President of the Queensland Council for Civil Liberties and the President of the Australian Council for Civil Liberties. Terry O’Gorman’s presence in areas of public debate, in particular around police conduct and civil rights, is formidable. He is a frequent speaker at national and international criminal law conferences. Terry’s skills with the media are vital in a climate in which prosecutorial and investigatory agencies are prepared to “go public” in high profile cases to gain an advantage. Terry O’Gorman, an expert in the area of criminal law and criminal defence, is one of our founding legal directors at Robertson O’Gorman Solicitors. From 2015 to 2017, Terry has been named as one of five preeminent Criminal Lawyers in Queensland in the Doyles Guide – Leading Criminal Lawyers list. © 2018 Robertson O’Gorman. All rights reserved.